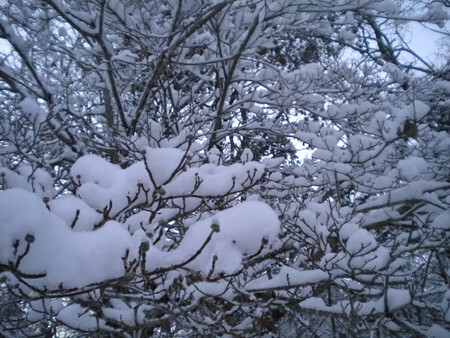 It snowed overnight. And this morning. And this afternoon. A lot more than we were anticipating. We spent the morning indoors, watching TV, cooking and enjoying the snow from the couch. This afternoon, we ventured out (in my mom’s car – she’s closer to the main road and doesn’t have to drive up an icy hill to leave the neighborhood) to the grocery stores. That may be our only trip out of the neighborhood for a few days. 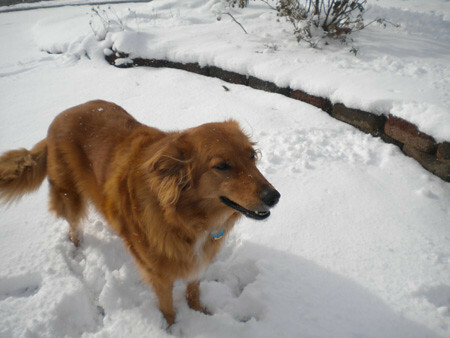 Sophie didn’t seem to mind the snow when she greeted us as we walked down the street. 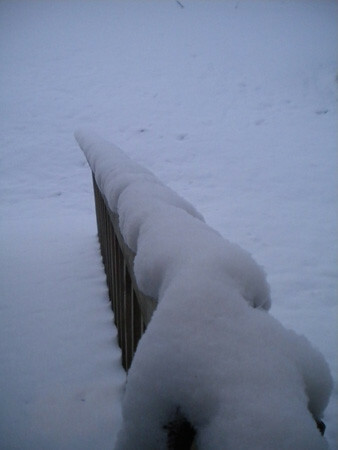 I took a quick shot of the snow on our back deck, and this was after some of it had melted. Can you believe that the weather fools (some of them) are calling for 6 to 10 MORE INCHES tomorrow night and Monday? I honestly wonder if I live in the south anymore.